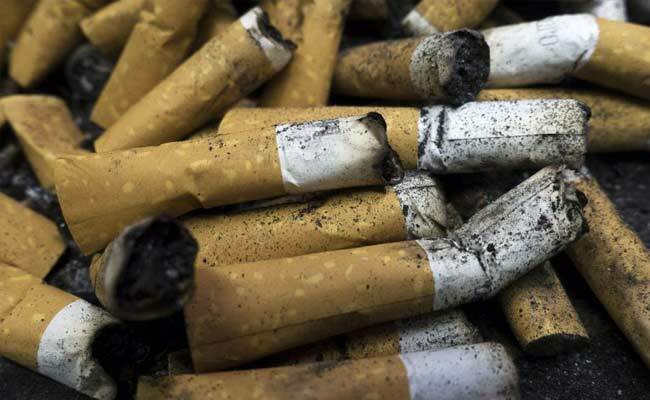 Japan ranks bottom globally in anti-smoking regulations, according to the World Health Organisation. Tokyo: Tokyo risks being one of the unhealthiest Olympic Games hosts in years, as an anti-smoking law exposes deep rifts over tobacco tax revenue, personal freedom and the dangers of passive smoking, which kills thousands of Japanese each year. There is pressure on the Japanese capital ahead of the 2020 Summer Games, including from the International Olympics Committee (IOC), to follow Rio de Janeiro and other recent Olympic venues in banning smoking in all public places to create a healthy sporting environment. But an initial proposal for a blanket ban on smoking indoors across Japan was opposed by pro-smoking politicians, restaurateurs and Japan Tobacco, which is one-third government-owned and paid the state $700 million in dividends in 2015. The health ministry scaled back its plan, to allow smoking indoors in spaces around 30 square metres (323 square feet) as long as adequate ventilation is installed. But opponents say this will still hurt Japan's many eateries, restrict individual freedom, and dent tobacco tax revenues - which topped 2 trillion yen ($18 billion) in 2014-15. Natsuko Takami, who runs a Tokyo pub that is small enough to allow smoking under the revised bill, fears losing money as she can't afford new ventilation, and could be fined 500,000 yen if a customer lit up. The smoker could be fined 300,000 yen. "I think people would stop coming," she said, adding that being able to smoke and drink helps reserved Japanese open up. The ruling Liberal Democratic Party's (LDP) health committee, whose support is essential to introducing the bill in parliament, won't meet ministry officials, saying the revised bill is too strict. The committee chair, Naomi Tokashiki, acknowledges there should be a law that protects against second-hand smoke, but says Japan's cultural emphasis on good manners and sensitivity to others should suffice. "I believe Japanese people really are considerate of others," she said. "It's more important for us to trust people than enact a really repressive law." Not so, say health authorities, pointing to 15,000 deaths a year from second-hand smoke, mostly women and children. "It's not a question of manners, we're looking at the impact on health," said a ministry official involved in crafting the bill who declined to be named due to the issue's sensitivity. "We've basically allowed people their independence, but the situation hasn't changed," he said. "Something more is needed." It now seems unlikely the law will be put to a vote in the current parliamentary session, which ends on June 18. Fifty years ago, around half of Japanese smoked. That's now dropped to 18 percent, and smoking areas have been dramatically restricted, but smoking laws vary from city to city and, within Tokyo, from ward to ward. Penalties are low and enforcement lax. A 2003 law "encourages" restaurants and other public areas to separate smoking and non-smoking areas, but there is no penalty for non-compliance. Smoking is still possible on the grounds of schools and hospitals, though not inside, and there is a cigarette vending machine in a health ministry annex. Japan ranks bottom globally in anti-smoking regulations, as measured by the types of public places entirely smoke-free, according to the World Health Organization. The revised proposal would raise Japan to the second-lowest of four rungs. The WHO has teamed up with the IOC to guarantee smoke-free Games venues, though IOC Vice President John Coates has said the body can't force a ban beyond the venues and the Olympic Village. Brazil passed a blanket indoor smoking ban before the Rio Olympics in 2016, and bans were in place for the 2010 Winter Olympics in Vancouver, Canada as well as for the 2012 London Games. In Russia, Sochi had only a limited city ban for the 2014 Winter Olympics, but an extensive national ban was introduced a few months later. Beijing had a limited, temporary ban in 2008, but enforcement was patchy. It passed a tougher ban in 2015, when it hosted the athletics World Championships. The issue could affect Japan's image as it looks to attract more tourists. Many travelers from Europe and North America are used to smoking being banned indoors. "A recent newspaper described Japan as a 'paradise for smokers,' and I'm sure it wouldn't want that title," said Douglas Bettcher, WHO's director for prevention of non-communicable disease. "It's not a good impression to give ... as Japan is preparing and investing so much for the 2020 Summer Olympics." Many politicians have proposed a temporary smoking ban for the Olympics, says Toshiharu Furukawa, an LDP lawmaker and a doctor who supports an indoor ban, noting some colleagues' concern about a drop in government tax revenues from cigarettes at a time when Japan's taxpaying population is shrinking. "Tobacco is a very important tax resource," he said. Some of those lawmakers "are smokers, but some are backed by farming groups that produce tobacco, and some are backed by tobacco companies." Japan Tobacco spokesman Masahito Shirasu says the company shares concerns about passive smoking, but the health ministry's proposal is too strict. The 80,000-strong National Food and Drink Association favours having establishments display stickers showing if they are non-smoking, segregated, or allow smoking - letting customers decide. "Only 18 percent of people may smoke, but the percentage of smoking customers in smaller restaurants is much higher - nearly half," said Tetsuro Kojo, head of the association. "We must take care of them." Public opinion varies. A poll by the liberal Asahi Shimbun newspaper found that 64 percent supported the revised proposal, while the conservative Sankei Shimbun found only 37 percent in favour. Kazuo Hasegawa, a 46-year-old non-smoker diagnosed with lung cancer in 2010, believes pressure related to the Olympics is essential for achieving a ban. "The tobacco issue is something that can't really be solved in a Japanese manner," he said. "Without outside pressure, Japan won't move on this."